The second great giant of the industry that I ran into was Jim Winey. 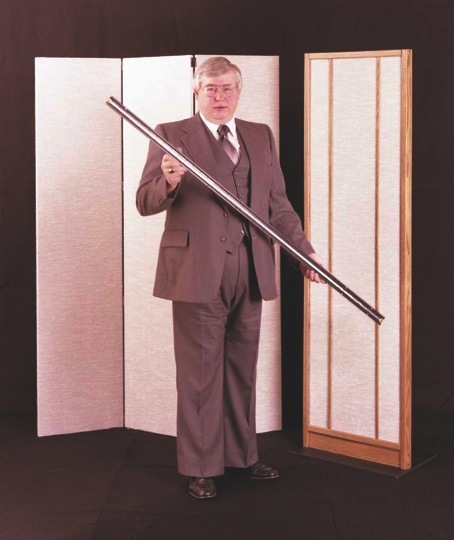 I sold my pair of Rectinlinear III loudspeakers for a pair of the original Magneplanars Tympani 1’s, invented by Mr. Winey. (They were called Tympani’s because they were tuned like a tympani drum in an orchestra, with various sections producing different parts of the audio spectrum depended on how tight their mylar skin was stretched.) Jim’s aim was to make a pair of speakers sound as good as electrostatics and he succeeded. In some ways, his speakers sounded better. His speakers did not have to be plugged into electrical current and they were very stable. However, they were power hungry and needed the right power amplifier to bring out their best. What was remarkable about the Maggies were their clean and transparent midrange. The top end was soft and the bass was tight but not deep. Room size and configuration has a lot to do with their sound, especially bass output. Great care needed to be taken in room placement. The speakers needed to stand a good distance away from the back wall, thus they tended to dominate most any room. The room needed to be fairly large in order for the listener to hear the best balance of sound. Not only that, but dynamic range was not so great because the speakers were quite inefficient and the bass panels tended to bottom out if the bass was too loud. Classical music, with quick bass transients was usually alright, but continuous loud rock was not the speakers cup of tea. What was fun about the speakers is that people would walk over and look behind them to see where the sound was coming from. By turning off the lights at night it was easy to imagine that the musicians were in the room if the source material was well recorded. They sounded like no other speaker. They did not sound like boxes. But they were not perfect. Mr. Winey has greatly improved them over the years. However, I have a great nostalgia for original ones speakers. They were large, but I thought that they were very attractive looking. However, they often disappeared into the room when the listener focussed on the music they reproduced. I want to thank Magnepan for introducing me to great music. Before I owned them I would listen to practically anything. But somehow, the Maggies seemed to demand the very best source material before I could really appreciate the quality of their reproduction. On them, I grew to love Bach and Beethoven, and the best female vocalists (difficult to reproduce) from opera to the bestsinger/songwriters. They helped me fall in love with music all over again. I would not recommend buying a used Magneplanar speaker. Magnepan builds some greatly improved loudspeakers today that are state of the art in almost every way. They are smaller, more efficient, more dynamic, with much better highs and lows. They fit into almost any size room and, to me, they are still beautiful speakers both in cosmetics and sound. Will they play loud rock. Well, they are a little better at it today, but they should not be your first choice. These speakers are about subtleties. They are about resolution and transparency. Which model should you buy. The Magnepan 20.7’s are the most expensive model. 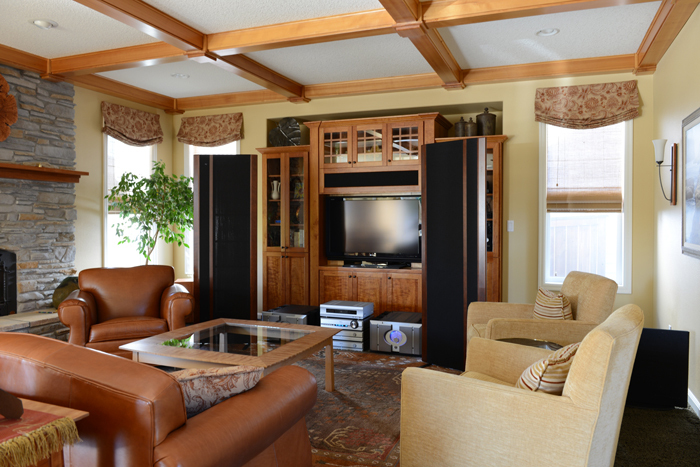 But for me, the Magnepan 3.7i’s produce the most balanced sound in medium sized rooms. Either one will get you very close to state of the art. (The Magnepan 3.7i’s are picture above). The speakers are made in America and shipped to China and many other countries. They are carefully assembled by hand, yet their price is a bargain. They are one of the fews products worth today’s inflated prices. Do yourself a favor and go listen to them. They may help you fall in love with great music.